Fans are mere weeks away from re-entering the dystopian world of Gilead, and ahead of The Handmaid's Tale Season 2 premiere in April, Hulu has released a first-look image of Alexis Bledel as Ofglen. Much like her fellow handmaids, Ofglen/Ofsteven had a life before the country changed— she was previously known as Emily, had been married to another woman and had a son. Emily's defiance against the regime left her fate unknown to viewers at the end of Season 1, but judging by this first photo she is alive, but doesn't look so well. In Season 1, Emily revealed to Offred (Elisabeth Moss) that she's part of a secret resistance known as Mayday, which makes this new image, seen below, all the more upsetting. It appears that the character has been punished for her "joyride" by being forced to work in a labor camp type setting in the colonies—a far cry from any sort of promising resistance. Bledel's role was boosted from guest star to series regular shortly after she became a fan favorite in the show. The actress also received an Emmy for Outstanding Guest Actress in a Drama Series. 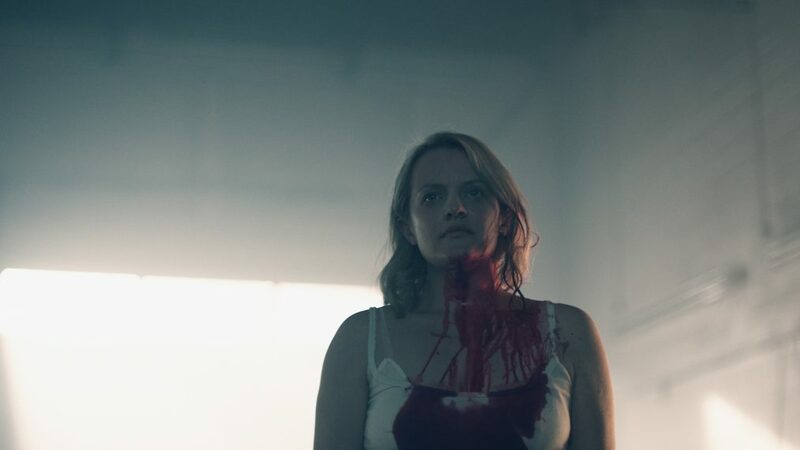 The new season, which premieres two episodes on Wednesday, April 25, and then once a week for the 13-episode run, will focus on the Handmaids' fight against Gilead. The actress joins Marisa Tomei in the Hulu series' second season. There were signs of defiance in the first season, but as Offred faces the reality of her pregnancy, things will get crazy. Thankfully, there's just a little over a month to wait, and Hulu is curbing fans' binging by withholding all of the episodes, allowing Season 2 time to breathe.